Tropical Moscato is a popular moscato carried by thousands of retailers throughout the United States. 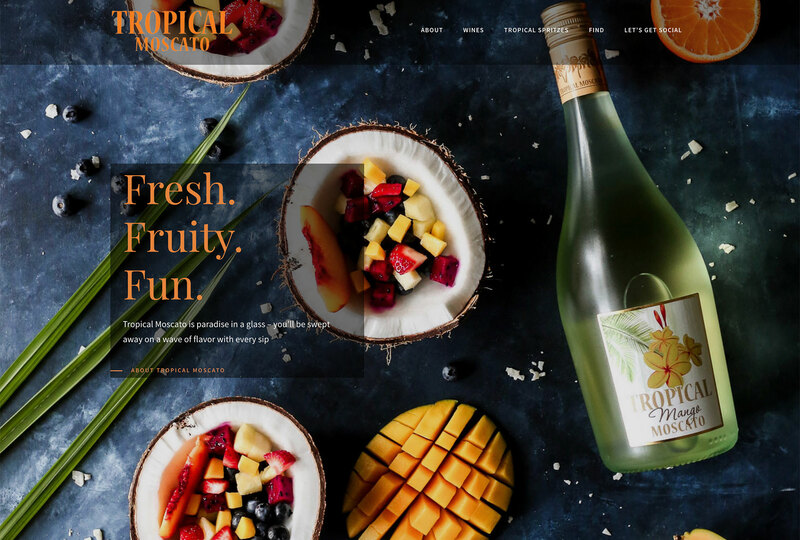 Vinbound Marketing worked with Quintessential Wines to develop a polished website for Tropical Moscato on WordPress. 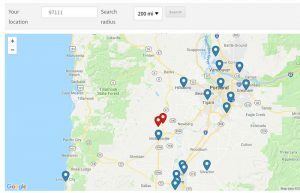 The core functionality of the website is the Find a Retailer map that allows customers to type in their zip code and find the nearest stores that carry Tropical Moscato. 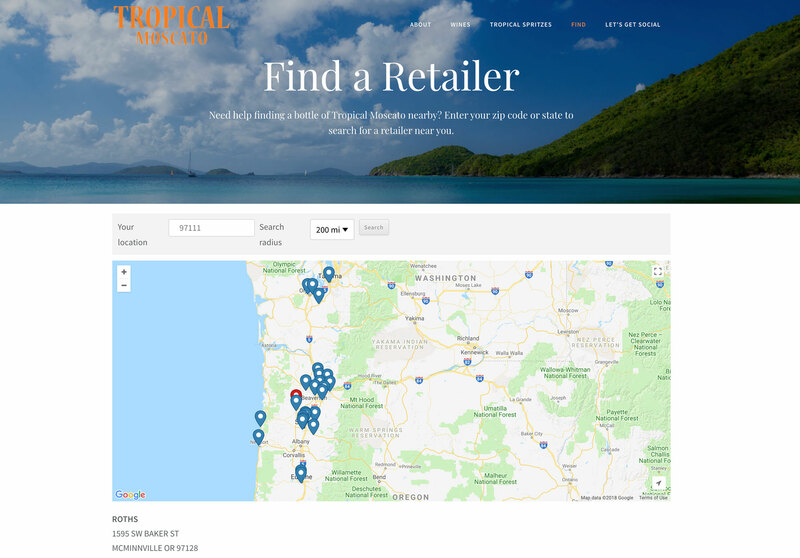 The Find a Retailer functionality works great and includes the ability for the Tropical Moscato team to continue to upload their locations via Excel sheet to keep the data up-to-date.